My little one is turning four in a few days and he just received an early present. My mom mailed him his birthday card and he got the opportunity to open the envelope a few days early. 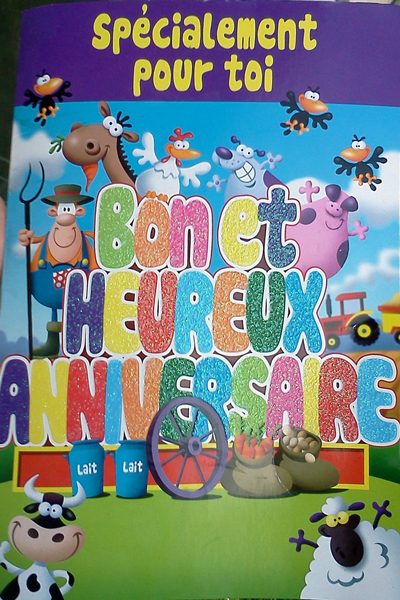 The birthday card’s theme is Old MacDonald (had a farm) and here’s the front of the card. 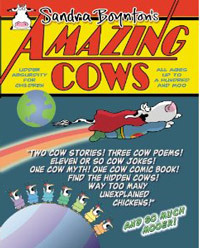 Notice the cow at the bottom left corner. 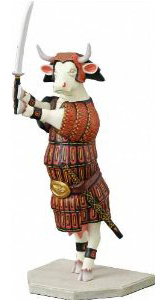 And here’s the inside of the card, with a dancing cow. 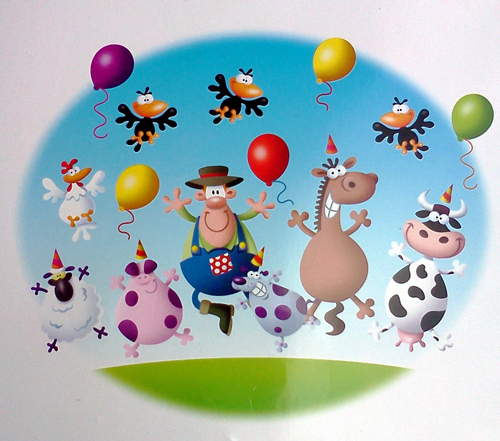 And a dancing pig, a dancing sheep, a dancing farmer… You get the point, it’s a birthday party! The best part about this card is, it’s a singing card! It sings the “Old McDonald had a farm” song and it has just one volume setting. SUPER loud. And my kids love it! Isn’t it always this way? So I tried to share the song with you, especially since it’s actually singing the cow part (with a moo moo here, a moo moo there…) but I used my cell phone camera and somehow it didn’t record the sound. The only explanation I have is, the microphone shut off when it heard the screaming loud song. Just be glad I spared your ears. Previous Post How does Charlie at the zoo see a cow? Next Post It’s a cow-a-bungee birthday card!